View our current C-Class inventory below, then contact us to set up a time to experience this top-notch vehicle in person. LOADED WITH VALUE! Comes equipped with: Polar White. This Mercedes-Benz C-Class also includes Air Conditioning, Clock, Climate Control, Tachometer, Dual Zone Climate Control, Memory Seat Position, Cruise Control, Homelink System, Power Steering, Telescoping Steering Wheel, Steering Radio Controls, Sunroof, Power Mirrors, Moonroof, Lthr. Steering Wheel, Driver Airbag, Passenger Airbag, Intermittent Wipers, Rear Defogger, Security System, Anti-Theft, Satellite Radio, Navigation System, Center Arm Rest, Vanity Mirrors, Heated Mirrors, Body Side Moldings, Rear Fog Lamps, Child Proof Door Locks, Daytime Running Lights, Reverse Camera, Side Curtain Airbags, Roll Stability Control, Rear-Side Airbags, Tire Pressure Monitor, Carpeted Floor Mats, Overhead Console, Voice Control. Air Conditioning, Climate Control, Dual Zone Climate Control, Cruise Control, Power Steering, Power Mirrors, Leather Steering Wheel, Memory Seat Position, Clock, Tachometer, Homelink System, Telescoping Steering Wheel, Steering Wheel Radio Controls, Sunroof, Moonroof, Driver Airbag, Passenger Airbag, Security System, Rear Defogger, Intermittent Wipers, Anti-Theft, Body Side Moldings, Carpeted Floor Mats, Center Arm Rest, Child Proof Door Locks, Daytime Running Lights, Heated Mirrors, Navigation System, Overhead Console, Rear Fog Lamps, Rear-Side Airbags, Reverse Camera, Roll Stability Control, Side Curtain Airbags, Tire Pressure Monitor, Vanity Mirrors - Dealer not responsible for typographical errors of any sort, including but not limited to pricing. Exact mileages may vary. -LOADED WITH VALUE! Comes equipped with: Polar White. LOADED WITH VALUE! Comes equipped with: Black, Premium Package. This Mercedes-Benz C-Class also includes Air Conditioning, Clock, Climate Control, Tachometer, Dual Zone Climate Control, Memory Seat Position, Cruise Control, Homelink System, Power Steering, Telescoping Steering Wheel, Steering Radio Controls, Sunroof, Power Mirrors, Moonroof, Lthr. Steering Wheel, Driver Airbag, Passenger Airbag, Intermittent Wipers, Rear Defogger, Security System, Anti-Theft, Satellite Radio, Navigation System, Center Arm Rest, Vanity Mirrors, Heated Mirrors, Body Side Moldings, Rear Fog Lamps, Child Proof Door Locks, Daytime Running Lights, Reverse Camera, Side Curtain Airbags, Roll Stability Control, Rear-Side Airbags, Tire Pressure Monitor, Carpeted Floor Mats, Overhead Console, Voice Control. Air Conditioning, Climate Control, Dual Zone Climate Control, Cruise Control, Power Steering, Power Mirrors, Leather Steering Wheel, Memory Seat Position, Clock, Tachometer, Homelink System, Telescoping Steering Wheel, Steering Wheel Radio Controls, Sunroof, Moonroof, Driver Airbag, Passenger Airbag, Security System, Rear Defogger, Intermittent Wipers, Anti-Theft, Body Side Moldings, Carpeted Floor Mats, Center Arm Rest, Child Proof Door Locks, Daytime Running Lights, Heated Mirrors, Navigation System, Overhead Console, Rear Fog Lamps, Rear-Side Airbags, Reverse Camera, Roll Stability Control, Side Curtain Airbags, Tire Pressure Monitor, Vanity Mirrors - Dealer not responsible for typographical errors of any sort, including but not limited to pricing. Exact mileages may vary. -LOADED WITH VALUE! Comes equipped with: Polar White, Premium Package. Comes equipped with: 10.25 Center Display, Mojave Silver Metallic, Premium Package. LOADED WITH VALUE! Comes equipped with: Black. This Mercedes-Benz C-Class also includes Air Conditioning, Clock, Climate Control, Tachometer, Dual Zone Climate Control, Memory Seat Position, Cruise Control, Homelink System, Power Steering, Telescoping Steering Wheel, Steering Radio Controls, Sunroof, Power Mirrors, Moonroof, Lthr. Steering Wheel, Driver Airbag, Passenger Airbag, Intermittent Wipers, Rear Defogger, Security System, Anti-Theft, Satellite Radio, Navigation System, Center Arm Rest, Vanity Mirrors, Heated Mirrors, Body Side Moldings, Rear Fog Lamps, Child Proof Door Locks, Daytime Running Lights, Reverse Camera, Side Curtain Airbags, Roll Stability Control, Rear-Side Airbags, Tire Pressure Monitor, Carpeted Floor Mats, Overhead Console, Voice Control. Air Conditioning, Climate Control, Dual Zone Climate Control, Cruise Control, Power Steering, Power Mirrors, Leather Steering Wheel, Memory Seat Position, Clock, Tachometer, Homelink System, Telescoping Steering Wheel, Steering Wheel Radio Controls, Sunroof, Moonroof, Driver Airbag, Passenger Airbag, Security System, Rear Defogger, Intermittent Wipers, Anti-Theft, Body Side Moldings, Carpeted Floor Mats, Center Arm Rest, Child Proof Door Locks, Daytime Running Lights, Heated Mirrors, Navigation System, Overhead Console, Rear Fog Lamps, Rear-Side Airbags, Reverse Camera, Roll Stability Control, Side Curtain Airbags, Tire Pressure Monitor, Vanity Mirrors - Dealer not responsible for typographical errors of any sort, including but not limited to pricing. Exact mileages may vary. -LOADED WITH VALUE! LOADED WITH VALUE! Comes equipped with: 10.25 Center Display, Mojave Silver Metallic, Premium Package. This Mercedes-Benz C-Class also includes Air Conditioning, Clock, Climate Control, Tachometer, Dual Zone Climate Control, Memory Seat Position, Cruise Control, Homelink System, Power Steering, Telescoping Steering Wheel, Steering Radio Controls, Sunroof, Power Mirrors, Moonroof, Lthr. Steering Wheel, Driver Airbag, Passenger Airbag, Intermittent Wipers, Rear Defogger, Security System, Anti-Theft, Satellite Radio, Navigation System, Center Arm Rest, Vanity Mirrors, Heated Mirrors, Body Side Moldings, Rear Fog Lamps, Child Proof Door Locks, Daytime Running Lights, Reverse Camera, Side Curtain Airbags, Roll Stability Control, Rear-Side Airbags, Tire Pressure Monitor, Carpeted Floor Mats, Overhead Console, Voice Control. Air Conditioning, Climate Control, Dual Zone Climate Control, Cruise Control, Power Steering, Power Mirrors, Leather Steering Wheel, Memory Seat Position, Clock, Tachometer, Homelink System, Telescoping Steering Wheel, Steering Wheel Radio Controls, Sunroof, Moonroof, Driver Airbag, Passenger Airbag, Security System, Rear Defogger, Intermittent Wipers, Anti-Theft, Body Side Moldings, Carpeted Floor Mats, Center Arm Rest, Child Proof Door Locks, Daytime Running Lights, Heated Mirrors, Navigation System, Overhead Console, Rear Fog Lamps, Rear-Side Airbags, Reverse Camera, Roll Stability Control, Side Curtain Airbags, Tire Pressure Monitor, Vanity Mirrors - Dealer not responsible for typographical errors of any sort, including but not limited to pricing. Exact mileages may vary. -LOADED WITH VALUE! Comes equipped with: Lunar Blue Metallic. LOADED WITH VALUE! Comes equipped with: Black. This Mercedes-Benz C-Class also includes Air Conditioning, Clock, Climate Control, Tachometer, Dual Zone Climate Control, Cruise Control, Homelink System, Power Steering, Steering Radio Controls, Sunroof, Power Mirrors, Moonroof, Lthr. Steering Wheel, Driver Airbag, Passenger Airbag, Intermittent Wipers, Rear Defogger, Security System, AM/FM, Anti-Theft, Rear Spoiler, Center Arm Rest, Remote Trunk Lid, Vanity Mirrors, Heated Mirrors, Rear Fog Lamps, Child Proof Door Locks, Daytime Running Lights, Reverse Camera, Side Curtain Airbags, Roll Stability Control, Rear-Side Airbags, Power Lift Gate, Tire Pressure Monitor, Premium Sound, Carpeted Floor Mats, Overhead Console, Aux. Audio Input, Front Heated Seats, HD Radio, Voice Control. Air Conditioning, Climate Control, Dual Zone Climate Control, Cruise Control, Power Steering, Power Mirrors, Leather Steering Wheel, Clock, Tachometer, Homelink System, Steering Wheel Radio Controls, Sunroof, Moonroof, Driver Airbag, Passenger Airbag, Security System, Rear Defogger, Intermittent Wipers, AM/FM, Anti-Theft, Aux. Audio Input, Carpeted Floor Mats, Center Arm Rest, Child Proof Door Locks, Daytime Running Lights, Front Heated Seats, Heated Mirrors, Overhead Console, Power Lift Gate, Premium Sound, Rear Fog Lamps, Rear Spoiler, Rear Spoiler, Rear-Side Airbags, Remote Trunk Lid, Reverse Camera, Roll Stability Control, Side Curtain Airbags, Tire Pressure Monitor, Vanity Mirrors - Dealer not responsible for typographical errors of any sort, including but not limited to pricing. Exact mileages may vary. -LOADED WITH VALUE! 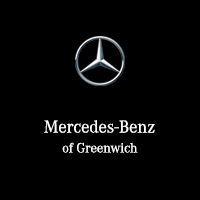 As a member of Penske Automotive Group, Mercedes-Benz of Greenwich values our customers needs above all else. Whether you’re searching for a new Mercedes-Benz or need to rely on our service center for brake repair, tire alignment, or major repairs, we hope you trust us for all things auto. If you’re near the Rye or Stamford area, visit us at your leisure to see our expansive inventory of C-Class models! Still doing your research? Explore the Mercedes-Benz C-Class vs. Audi A4, or explore different Mercedes-Benz sedans! If you’re searching for something a little smaller, learn more about the A-Class Sedan’s technologies and interior!